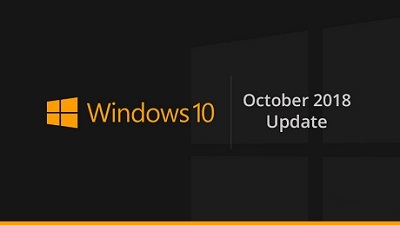 The release of Windows 10 October 2018 Update is imminent. The rumors confirmed that Microsoft’s next big release would become available for download on October 2 and it’s a free update for all current users. Windows 10 October 2018 Update should hit the compatible devices next week and it’s the perfect time to take a few minutes to prepare your PC. The PCs are usually ready for big releases but in some cases, you should make changes to your PC so it can be upgraded without any hiccups along the way. It’s important to know that Windows 10 October 2018 Update is not rolling out to the public at the moment but you can join the Insider program and jump into the Fast or Slow Ring to download the final RTM build. It’s always a good idea to back up your data before you install any big OS update. It’s more necessary if your PC is old and it had issues with the previous updates. You can upload your photos or important files to other hard disks, cloud service (OneDrive) or external drive. In some cases, the Windows Update initialization process would fail as the system does not check for space requirements before kicking off the process. If enough storage space is not available, the update may fail to install after downloading the necessary files required for the update. We have these tips posted on Our Forum.